I'm not going to lie to you, Dubrovnik is a very expensive city and if you don't budget well you could end up spending a small fortune on a trip to this beautiful place. Many people have asked where I stayed there so I thought I'd do a post on where to stay and eat in case anyone is planning a holiday or a short break. 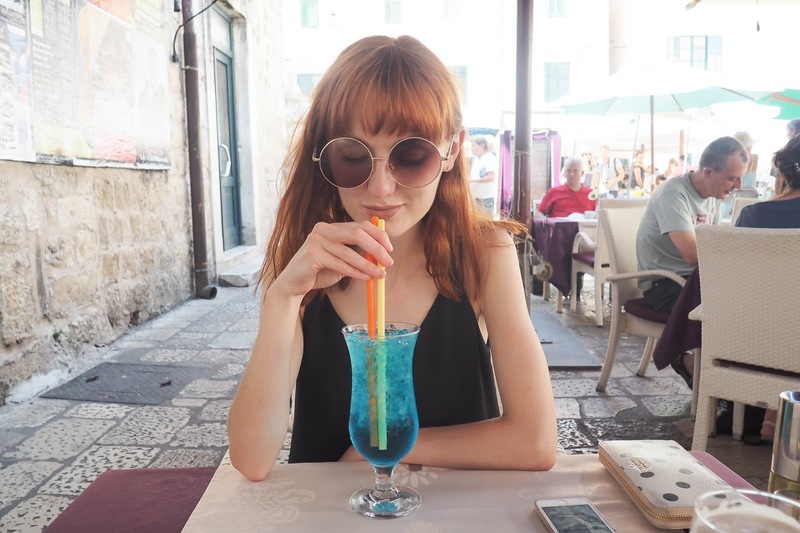 Dubrovnik has been my favourite trip to date and I'd recommend it to anyone but in order to do it on a budget, planning is absolutely essential. Unless you want to spend an absolute fortune, chances are you won't be staying within the walls of Dubrovnik. 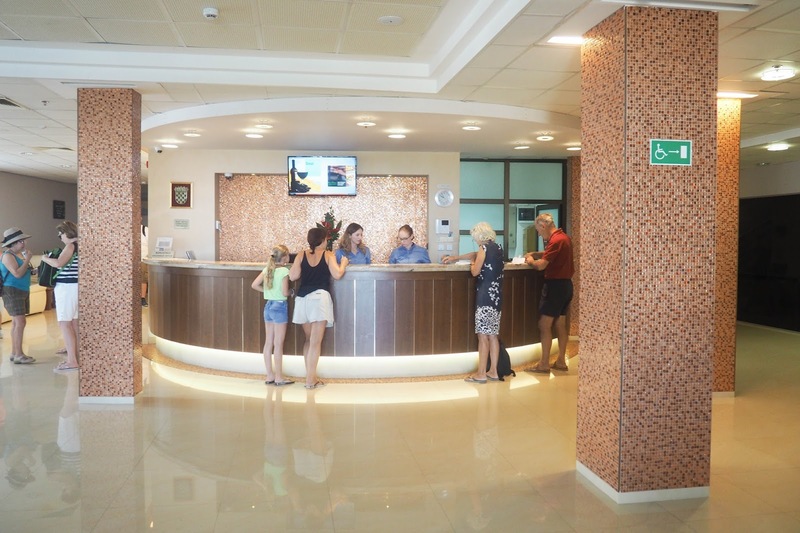 We spent so long choosing our hotel as we wanted to be close to the city, wanted a hotel with reasonably good reviews, a pool and we also were travelling on a budget. 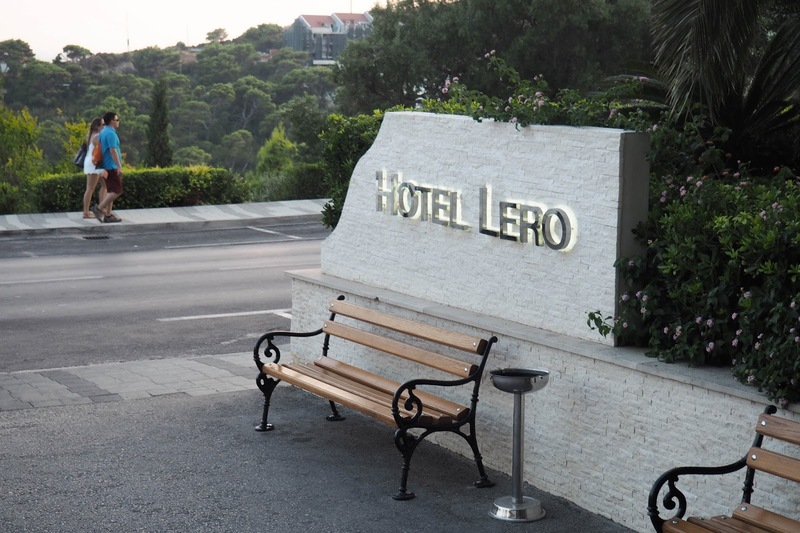 We eventually decided on Hotel Lero and I would definitely recommend it as it was exactly what we wanted. So the rooms weren't fancy but they had everything we needed; a comfy bed, a lovely view, a shower and a kettle (obv an essential) and for the amount of time we spent in the room, it didn't really matter anyway. 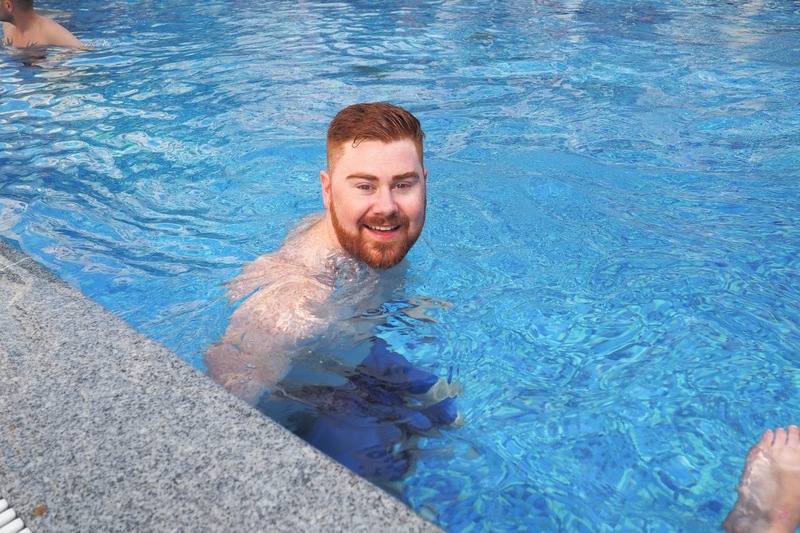 The hotel had a relatively small pool with sunbeds and the breakfast had a great choice, including an array of cereals, breads, cooked breakfast and fruit, and it had wifi that actually worked and was fast *gasps*. The staff were really friendly, helping me out when I realised I'd forgotten my hairbrush and when I wore ridiculous shoes and cut my feet open and I wouldn't hesitate to stay at Hotel Lero again. However my favourite thing about the hotel was the location. Hotel Lero is a 20 minute walk from the Old City meaning we could walk into the city every day and every night without paying for a taxi or a boat to get us there and not only that but the walk was stunning, taking us right along the seafront - yup, that last view is just outside the hotel and across the road. The hotel is also just a ten minute walk from Bellvue Beach, a rocky but beautifully tiny beach down at the bottom of the cliffs. There are a lot of stairs to go down but the swimming and the beauty is definitely worth the sweaty trek, especially as there aren't a lot of beaches this close to the Old Town. 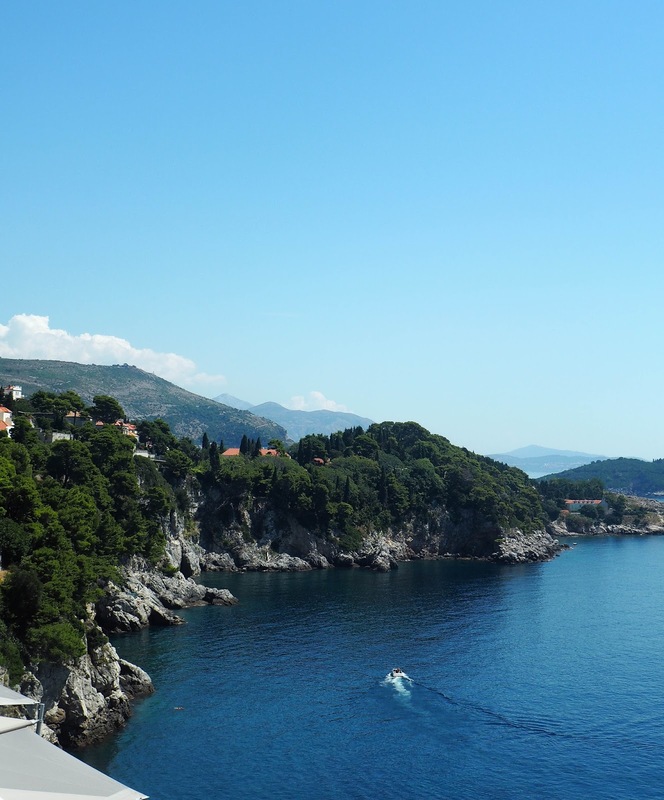 Even when you go for a week, Dubrovnik isn't really a place that does all inclusive. 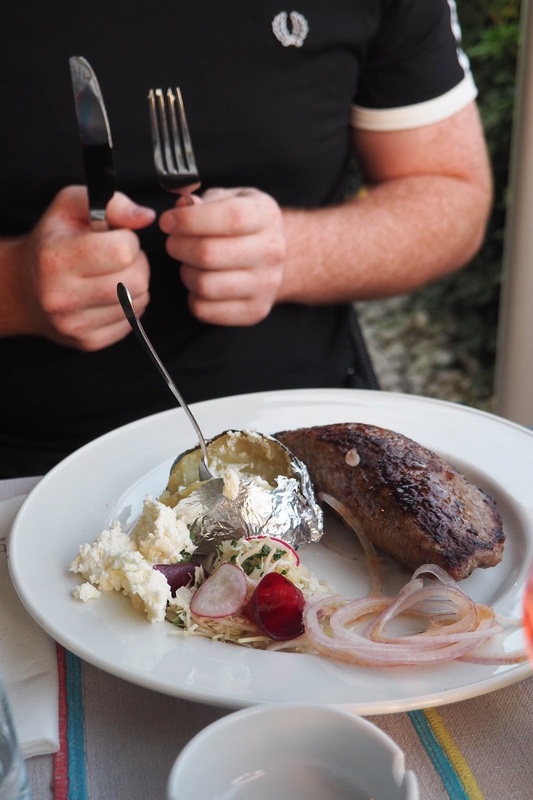 For one the hotels that do it are insanely expensive and for two, Croatian food is beautiful so it's one of those places that I would recommend eating out at and trying new places. 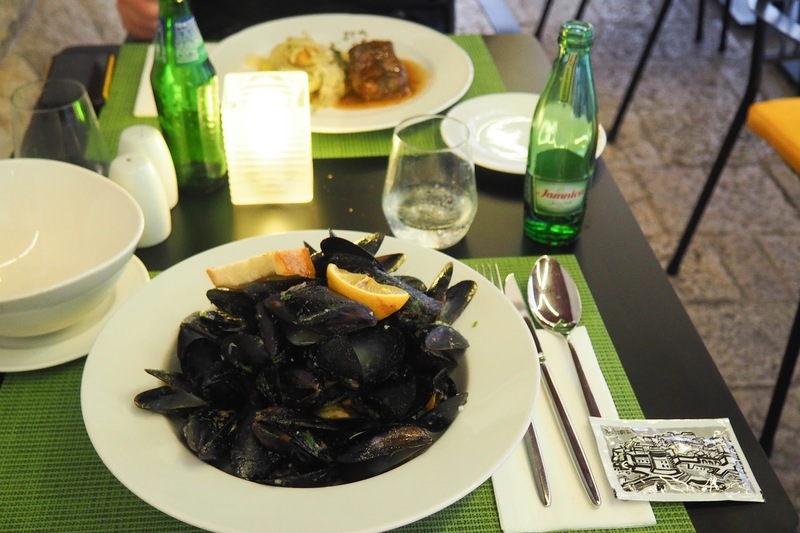 Croatia is famed for its seafood and you don't want to miss out in Dubrovnik. I ate seafood literally every single day because it was that good, I just couldn't resist it! The mussels there are absolutely divine and Karl, who would never usually touch seafood, found a new love in the mussels and is now hounding me to find somewhere near us that serves them because he's that obsessed! 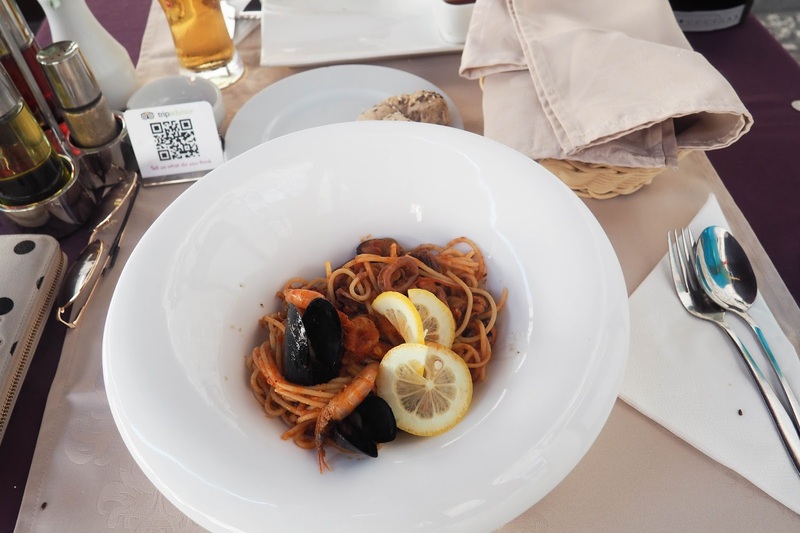 Whether its a catch of the day or a seafood pasta, you must try the fish if you love seafood. 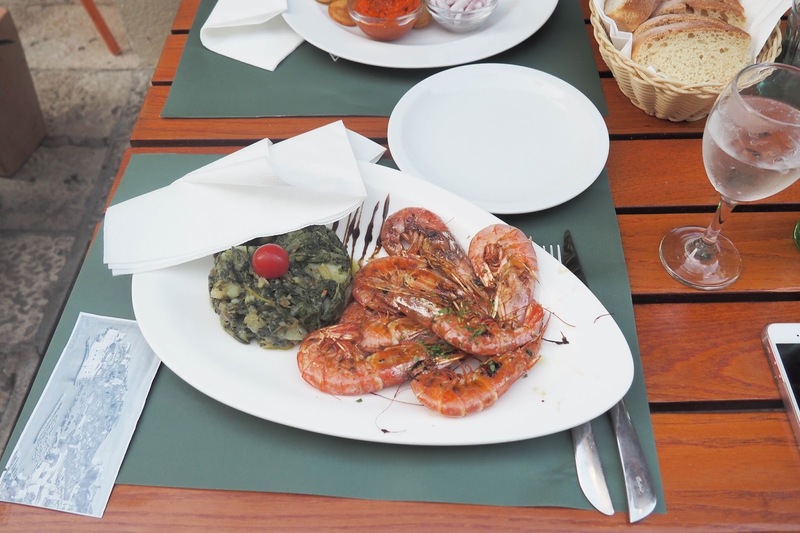 It can be quite expensive especially if you go to the restaurants in the main squares and streets of Dubrovnik, perhaps costing around £18-£20 for a fresh fish but if you go up the side streets and off the beaten track in the Old City, that's where you'll find the best restaurants. One of my favourites was called Konoba Peline and I had the best prawns there for such a good price and that's at the top of the street with the Game of Thrones gift shop that has the replica of the Iron Throne. Sorry for the vague directions but I'm not sure what the names of the streets are! 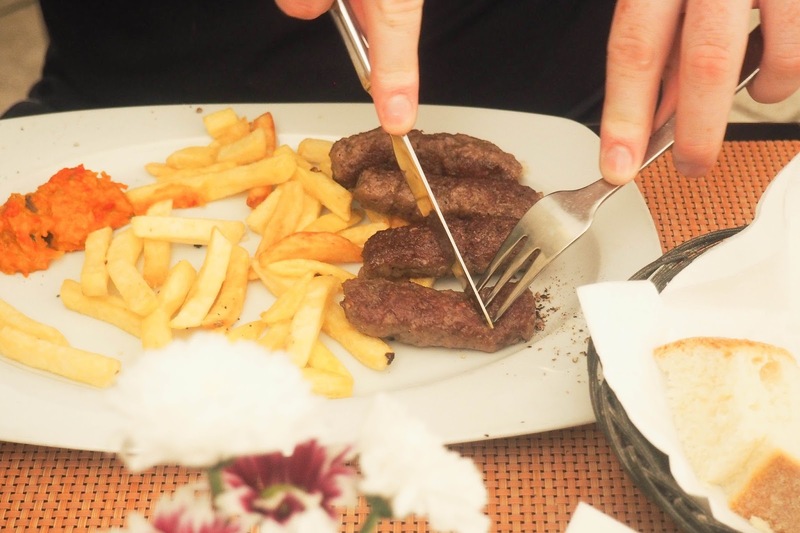 Karl also tried out the traditional Croatian dish Cevapcici, a dish that involves skinless sausages made from the minced meat we would normally have in burgers. He absolutely loved them and kept ordering them just about every day and I'm not going to lie they smelled divine. Teamed with the Croatian beer they were the perfect lunch! Finally, there's a Bosnian restaurant called Taj Mahal next door to Hotel Lero and if you're around that area I'd definitely recommend it. 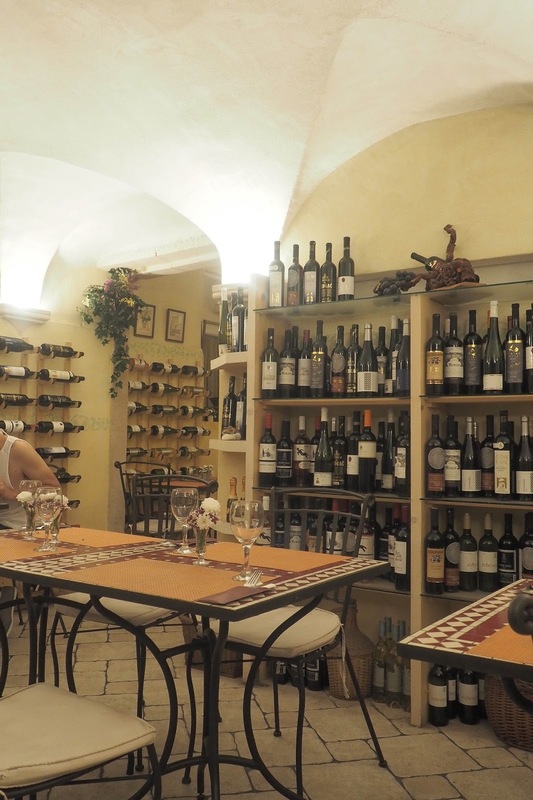 It is quite pricey and if you go on an evening you may have to reserve a table but it serves such beautiful food, including a huge variety of meaty dishes and a selection of vegetarian food. 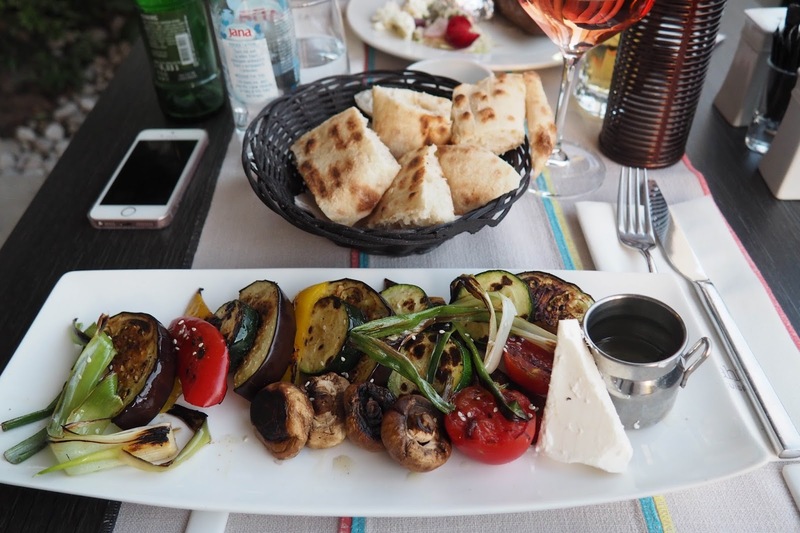 I went for the Vegetarian Platter and that was a selection of grilled veggies with feta cheese and Bosnian bread (which I ate SO much of btw!) and it was absolutely dreamy. I've never been to Dubrovnik but I really want to go, maybe next summer.. thanks for the tips! You had me at delicious seafood to be honest. Besides from the food though Dubrovnik looks a beautiful place, those views are stunning! 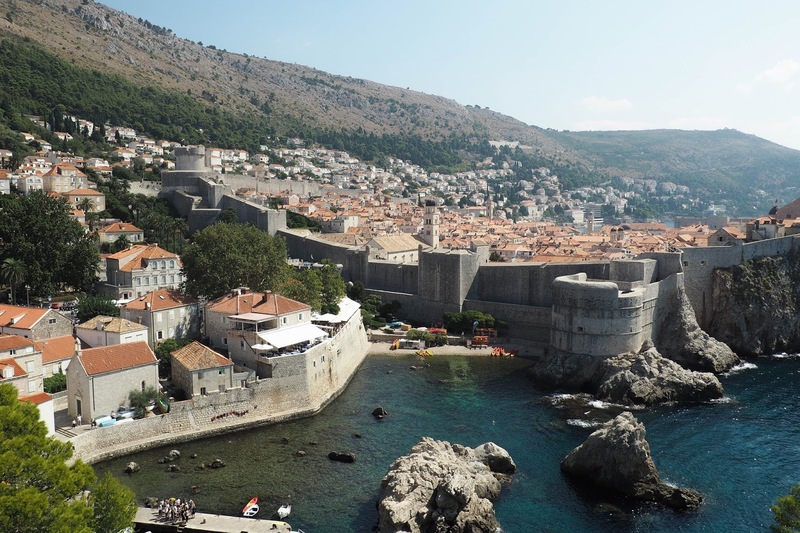 I really want to visit Dubrovnik, definitely good advice to budget! Thank you for your recommendations! Stunning, stunning photos, Amy. The views you caputured are absolutely breathtaking---by simply reading your recommendations I can just tell it was an absolute dream <3 Keep on adventuring!